Did Jesus have serious concerns about wealth and the wealthy? Clearly yes. But let’s not forget that Jesus had many wealthy people among his followers: Nicodemus, Joseph of Arimathea, several wealthy women that supported him and his disciples financially and materially… and in his parables he often used images of rich people to represent God and the kingdom of heaven: the man who loaned out the talents, the man who gave a banquet, etc. But Jesus also had several negative images of rich people in his parables and in his encounters. As a matter of fact, our Gospel reading today comes in the middle of a series of parables and incidents in Luke’s Gospel that are very instructive. Parable of the Pharisee and Tax Collector Undoubtedly the tax collector was much richer than the Pharisee, but he comes out positively. In a sense, the tax collector in the parable prepares us for the encounter with Zacchaeus today. Encounter with the rich ruler Peter is shocked by Jesus’ comment that it is easier for a camel to go through the eye of a needle than for a rich man to enter heaven. But Jesus leaves the door open: with God all things are possible… meaning a camel can go through the eye of a needle and a rich man can enter heaven! There is hope. 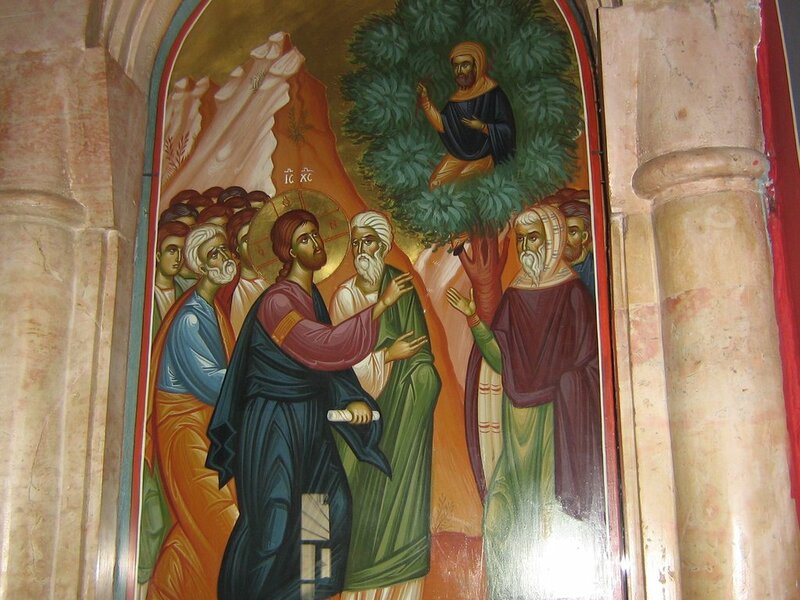 Zacchaeus incident (our Gospel reading today) Zacchaeus does what the rich ruler in the previous chapter could not do. Zacchaeus is proof that God can touch the heart of the most unlikely candidates. Parable of the ten pounds (ten minas) Despite the brutality of the rich man, his actions nevertheless are used as an image of the kingdom of God! We don’t need to look any further. In these two chapters we see enough variety in the attitudes Jesus held about wealth and the wealthy. What I find most interesting in today’s reading is the commitments Zacchaeus made. He would pay back everyone he cheated four times over! 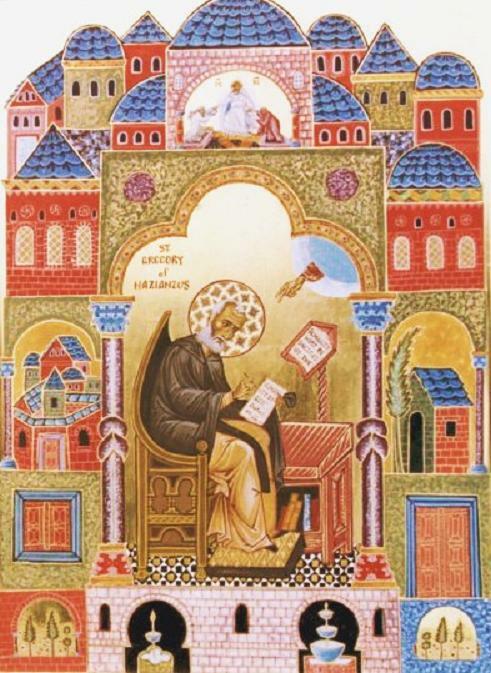 And he would give half of his possessions (ὑπαρχόντων) to the poor. I have news for Zacchaeus, by the time he did all this he would be totally poor. He’d have nothing left! But here is something even more interesting. Jewish law demanded only a 20% penalty when paying back someone you cheated (Leviticus 6:1-5). Zacchaeus pledged to paying back four times what he took! That’s much more than what Jewish law demanded. Now Roman law demanded a double restitution, and perhaps even fourfold. So Zacchaeus used the standards of Roman law in paying back his fellow Jews that he had defrauded. There’s poetic justice here. Since he worked for the Romans, he judged himself according to Roman law. I find that fascinating, and it helps lift this incident above the everyday. It’s not just about money. It’s about going outside the prescriptions of religion. It’s about being honest with oneself, even if that honesty breaks your bank account. His response was maximal rather than minimal. The normal human way is to get away with as little as we can. Zacchaeus could have gotten away with paying people back with the added one-fifth prescribed by Leviticus. But he didn’t, and there’s a lesson for us in that. Jewish law likewise prescribed giving 10% of one’s income to the poor. This is the concept of tzedakah (charity) in Jewish tradition. Zacchaeus committed to giving half – again, way beyond the expectations of his religious upbringing; and half not only of his income, but of all his possessions! As I said already, this commitment would break him. And you wonder why Jews are always at the forefront of charitable giving and philanthropy? It’s in their blood, in their religious genes and upbringing. But Zacchaeus went beyond tradition, beyond upbringing, beyond religious law. He did not settle for the least he could get away with. He went for broke – and he most likely ended up broke after this. Did he continue working for the Romans? Perhaps, perhaps not – but he was a changed man. He was now a true “son of Abraham.” It’s the spirit that makes one a member of God’s family, rather than what’s written on one’s birth certificate or one’s baptism certificate. 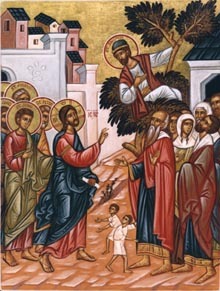 And notice something else: In the middle of these two chapters in Luke, right before he enters Jericho and meets Zacchaeus, Jesus heals a blind man who calls out to him, “Jesus, Son of David, have mercy on me!” Yet, when addressing Zacchaeus and people around him, Jesus refers to himself as “Son of Man” – or perhaps we might choose as a translation that would be closer to the Hebrew that Jesus spoke, “Son of Adam.” Remember that whereas Matthew started his genealogy of Jesus with Abraham, but Luke carried the genealogy of Jesus not to David or Abraham, but all the way back to Adam! Categories: Sermons | Tags: Jesus on money, tzedakah, Zacchaeus | Permalink.